Mali Mish - Day 66: A Beautiful day to hang out with new friends in Ludington. We have a full day today with our new friends since we are all staying until tomorrow. 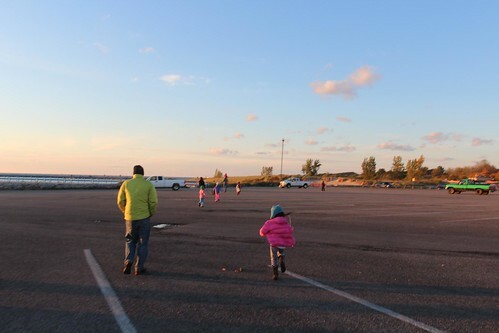 It is technically the off season here in Michigan but some of the busiest campgrounds like Ludington are still near capacity on the weekends. 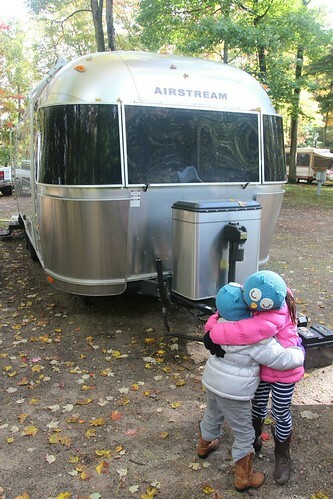 We spend a lot of time at campgrounds midweek and often look forward to Sunday when the majority of the crowd vacates. Sometimes we will even plan our transit days to be over the weekend so we can avoid the crowd by boondocking Fridays and Saturdays. This is Maggie. 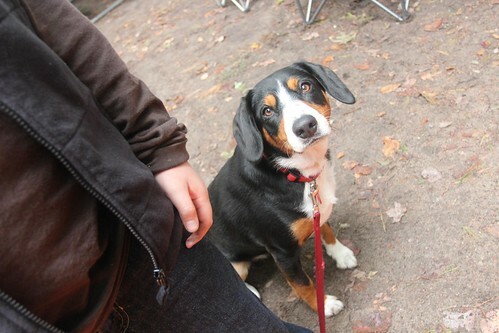 She is the 2-year-old pup that accompanies the Troutstream during their adventures. She never got a chance to meet our Yoda but I think that is best for everyone. Our girls have only been with Lucy for about 24 hours and they are already besties. Being the baby sister to 2 older brothers, she is rambunctious. That’s something Ava and Mila appreciate in a playmate. 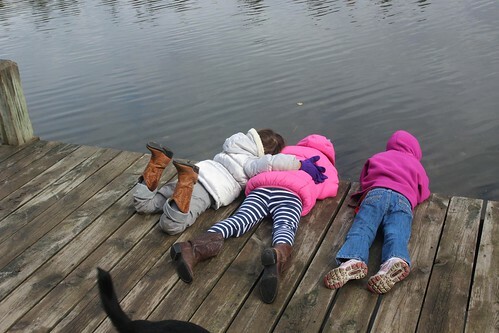 Our girls have gotten even closer to each other as sisters and best friends than ever before. This is something we didn’t really expect and didn’t experience last time since Mila was just a baby. As Mila gets older, they appreciate having each other as constant playmates during our cross country adventures. They have learned to count on each other and to help each other when an adult just won’t cut it. This was completely voluntary. We did not coax them into the this embrace and we we just lucky to have caught it on camera. Maybe the cold weather has some thing to do with it as well. The beach is still windy and the hike to the lighthouse is too long for the little ones to endure. 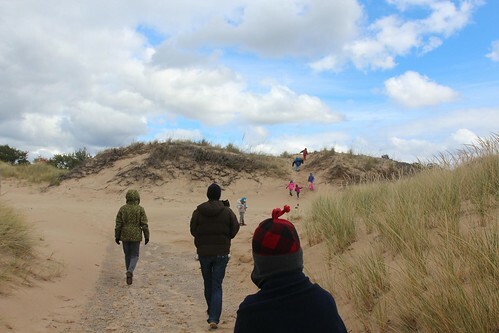 We decided to bundle up and just drive to the dunes to play. 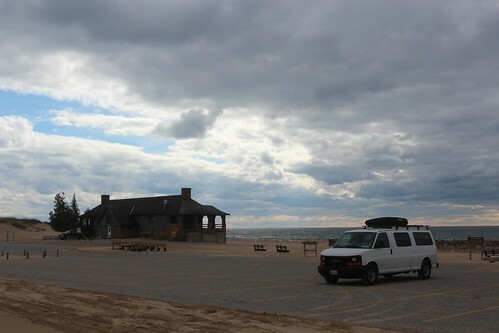 This is the beach house at Ludington. 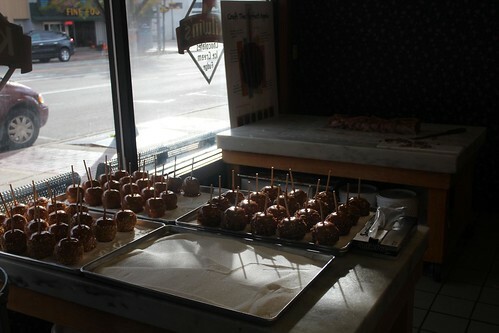 It serves as a general store and cafe during the busier season. It is understandably closed until next year as we are the only ones here. Our entourage decided to drive to the town if Ludington just a few miles away to do some sightseeing and window shopping. There are 14 of us plus Maggie the dog. With 8 kids and a pup in tow, the heart rate of most shopkeepers likely doubled as we entered their doors. 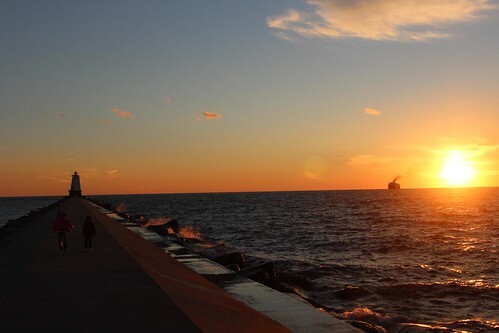 Ludington is a clean and quaint harbor town with over 8,000 residents. 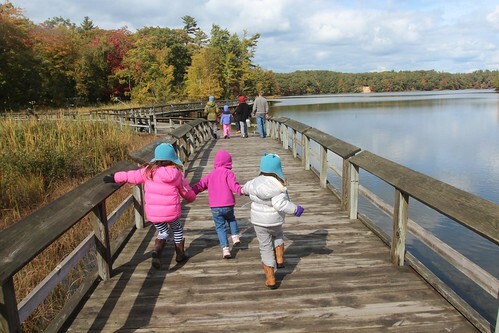 It is one of the most popular tourist cities in the state and very popular for the fishing, hunting and outdoors enthusiasts. 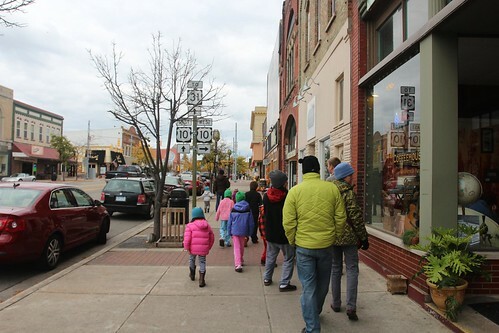 As we walked around downtown Ludington, you would hardly know of its popularity. We are nearing the end of the season and many of the shops were closed. And if they are not, they certainly didn’t have many people in them. 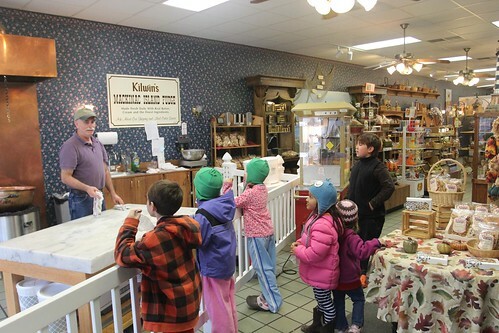 The kids got free samples of fudge at a great ice cream and candy store called Kilwin’s. Since Marlene is still on a dairy-free diet, she nearly shed a tear while watching the rest of us eat the deliciously butter-laden treat. 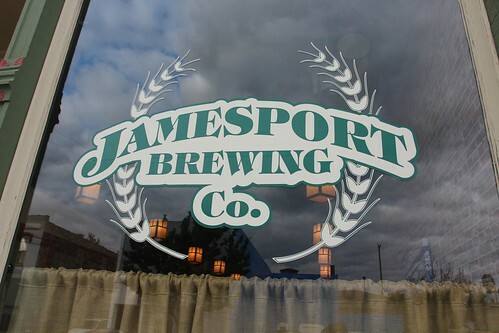 While we were out, we decided to make a dinner stop at the James Port Brewing Company. 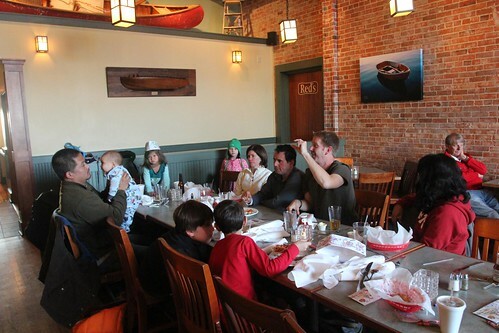 While the food was savory and their beers were tasty, their kid’s menu prices were a little disproportionate to the adult entrees. We spent nearly 9 dollars for Mila to have a small plate of kids spaghetti and chocolate milk while my, wait for it, burger was only 10 bucks. Part of the reason for eating out was to burn some time so we can see the ferry come to port that departed from Sheboygan just across the lake. This is the SS Badger. It is the only coal burning steam ship still in service in all of the Great Lakes. It purportedly spews more air contaminants than all of the other diesel-powered ships combined on Lake Michigan. The state has mandated the operator and owner to either decommission the ship or retrofit it with diesel engines. There is something majestic about seeing a steam ship coming to port, especially during this time of day. At 410 feet long, it is about half of the size of the Titanic. 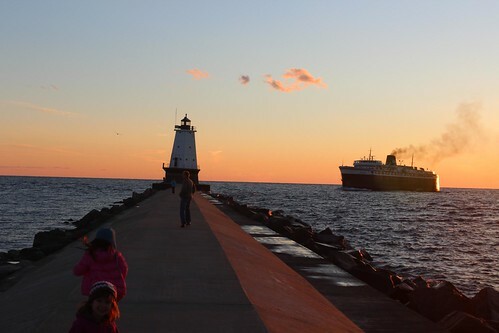 With its current home port here in Ludington, it has been carrying passengers to and from its destinations on Lake Michigan for over 60 years. Its twin ship, the SS Spartan, also calls Ludington its home but she has not been out to the open water since 1979. 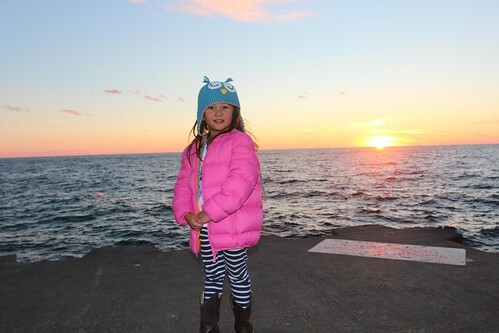 It is no wonder why people speak so highly of Ludington. It is a beautiful place from sunrise to sunset. If it wasn’t for that pesky winter problem, it would make a great place to live. We got back to the park after dark. As we entered the park, we saw some salmon fishermen filleting their catch near the entrance. This is the start of the salmon spawning season and for those experienced anglers, there are some prizes to be caught. 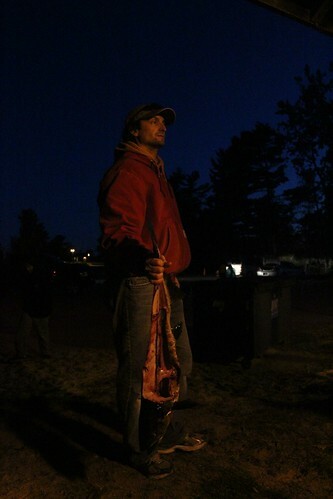 This guy is over 3 feet long and its carcass would have made great fish stock. The fisherman were only interested in the fillets and if they hadn’t already thrown it in the trash bin, I would have taken home their scraps. 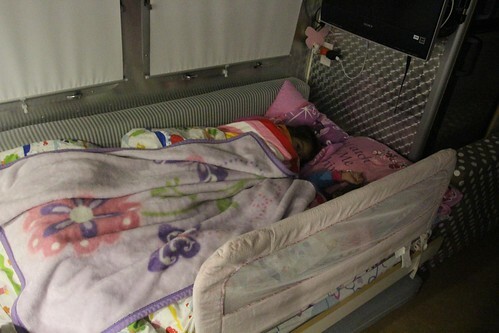 For our last night in Ludington State Park, the girls decided to sleep in the same bed for the first time. I don’t know how well this will work out but I sure hope it does. Luka is getting bigger and soon we will run out of room on our bed. 3 Responses to Day 66: A Beautiful day to hang out with new friends in Ludington. This was such a heart warming post!! The kids are completely, utterly adorable and how they have become BFF’s made my heart squeeze! 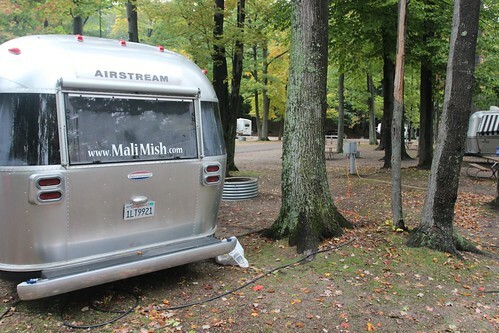 Troutstream and Mali Mish!! Love you guys!!!!!! Oh and that picture of the Steamboat gave me major goosebumps — very awesome!! Thanks for the kind words, Monica! It is great to watch their relationship grow on this trip 🙂 And ever since Ludington, they insist on sleeping in the same bed together every night. I’m so happy that the girls made best friends so quickly. It looks like everyone had a great time. It also looks so cold especially for a southern California guy.